We are instrumental in offering premium quality Industrial Conveyor Systems to our prestigious customers. Offered product range comprises of Vehicle Loading Conveyors, Loading Conveyors and Loading Belt Conveyors. These machines are precisely engineered using cutting-edge machinery in order to ensure optimum standards of quality. We are the remarkable entity, engaged in offering a superior range of Assembly PVC Conveyor to our valued clients. Our PVC Conveyor are highly beneficial for light to medium duty applications in industrial and service sectors. As per the requirements of the clients, we are involved in offering best quality of Spiral Screw Conveyor. This Spiral Screw Conveyor is extensively used in various suitable applications. We manufactured these products as per the requirements of the clients and design them as per the advance technology. Structure is made of SS 304 30 mm sq. Pipe, 16 SWG with matt finish. UHMW self-lubrication guide below chain. 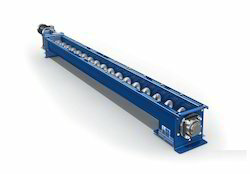 Self-alignment bearing for easy maintenance. 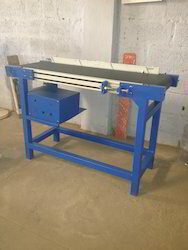 Slat conveyors are built with carrying members of wood or metal slats attached to a single or double strand chain. In addition to conveying operations they may be used as a traveling workable, or a combination of the two. Many kinds of parts and packages can be carried light, heavy or bulky units on inclines as well as on the horizontal. 0.37 kw / 440 Volts / 50 Hz. 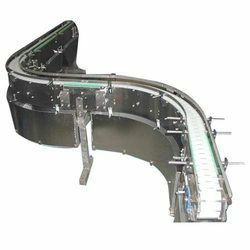 With the assistance of our skilled professionals, we are offering a quality tested array of Inclined Belt Conveyor to our valuable clients. 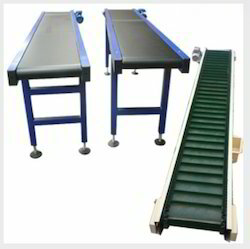 Our Inclined Belt Conveyor is available in varied models to meet the different demands of the clients. They give trouble free performance to the user as they are stringently tested on different quality parameters. We give complete finishing to our product before the final dispatch and satisfy our customers. Our offered range of product is superior in designing, safe in use and available at market leading prices.